Woke up in the morning to see the same ceiling again, I remember that I wasn’t actually not a high schooler anymore, it was kind of sad that wouldn’t going to school anymore. I had many memories regarding my life when I was study in high school, many good memories and of course there was also bad or sad memories that I sometimes didn’t want to remember. Well, to begin with I want to talk about my school, the name is 18 High School Bandung. My school actually wasn’t really big, and also it was not a prestigious nor a famous school. My school was, well, you can say it was just an ordinary school with ordinary people. My school was located in Bandung (of course because the name is 18 High School Bandung), it was located in Madesa Street. Well for some information, actually not many people know where this school located, not even for people who lived in Bandung. Some people would associated my school to Caringin street or birds market even though it was not really wrong but still, those places were kinda far from my school. Well yeah, even though it was perhaps not a prestigious nor a famous and big school but I still love my school, the place where I found friends, the place where my wishes came true. That day I did the usual routine, woke up in the morning, took a bath, had a breakfast and rode my bicycle to school. It took like 15 minutes from my home to my school. It was really fun use a bicycle rather than rode a motorcycle or use public transportation. Before I arrived to school I always stop at the parking lot beside my school to met my friend. The parking lot in my school was not very big but it also not that small, I think there was like 100 or more motorcycle that was parking in that spot. Well it was not that big and the volume of the students that use motorcycle were more than the place could held. So, the school board thought something to solved this problem. And the next thing that happened was the consctruction plan for the new parking spot. Now return to the main story, after I waited for my friend we will entered the school together and we always park our bike in our usual spot. Well, my friend also use bike to school so we kinda became like bike bros or bike mate, yeah something like that. We used to park our bike near the security post beside the main gate, because unfortunately there was not any parking spot for bike, so I place my bike near security post because it was safer. Right after we park our bike then we walk through the second gate, well my school had two gates, perhaps for extra protection. Anyway, near the second gate there was a place that always used by the teacher to punish the students who were late. The teacher usually ordered them to clean the school or just asked them to had some morning exercises like push up or sit up. There were usually many students who were late, so sometimes the yard that used to punish the students was kind of cramped or crowded because the yard was not that big and it was also used as a parking spot for the teaccher. When we entered the second gate, we often greeted by our classmates or by some teachers. The teacher office actually not that far from the gate, so there you would often saw teachers passed by. The principal office also really close to the gate, well said it really was right beside the gate, so it was kinda hard for some delinquent students who wanted to skip the school or wanted to bought something outside the school. The security was also always guarding the gate so one would easily went through the gate to got out from the school. After we entered through the second gate, my friend usually went to the bathroom to did some “business” or he often called it nature’s call. Well, because I was (am actually,because I still think I’m a good person until now) good friend so I always waited for him. The bathroom located near the library, if you entered from the second gate then you just need to turn left. I usually waited him in front of the library, the library was located beside the teacher’s office. The library was still closed when i sat in front of it, because it was usually started to open around 8 or 9 o’clock. When I waited for my friend I often just sat and observed my surrounding. The sound of the bird on the tree could be heard, the wind was breezing and the sun were shinning. Well, it was actually a really nice view, and the air was also refreshing thanks to my school and especially my living environment teacher who planted many tree and flower. When my friend had finished his business then we went to the classroom, my classroom actually located in the secod floor and my school had three floors. We climbed the stairs then parted ways because our class were different. My class was in Science 4 and my friend was Science 5. Our class actually didn’t had many difference, it was the usual class that most people knew. 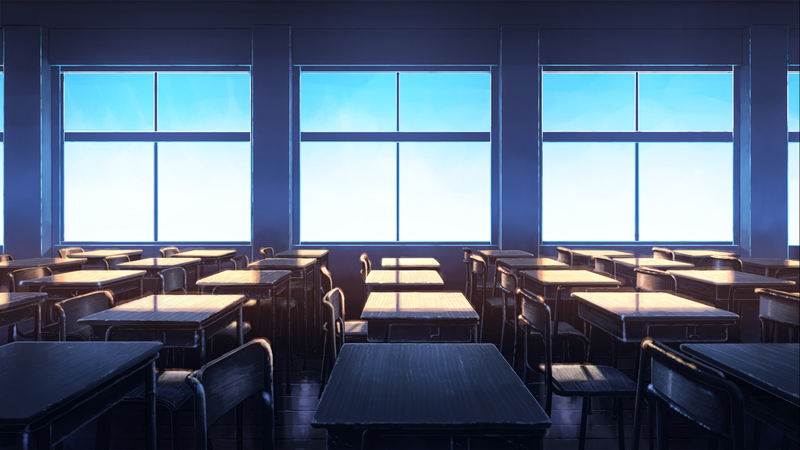 The atmosphere in my class wasn’t that bad, I had some friends or classmates that kind enough to befriend with me. When the class started, the class suddenly became quiet and we focused to listened to the lecturer that often explained the lesson through the whiteboard. It was always tiring to focus to the lecturer’s lesson, so to refresh my energy I always went to the canteen during break. The canteen in my school was big, because there were a lot of food stands that offered various food. Unfortunately, the canteen was always crowded by the students, so it was kinda hard to bought food during break, because it was always hectic. Sometimes when I didn’t had the chance to bought some food I will just lazing around the mosque, which located near the canteen. The Mosque of my school was small, but it had a second floor. It was a comfortable place, the atmosphere was really nice and calming, so much diffferent than the canteen which were hot and cramped and stink of teenager sweat (yuck). When the class was over, me and my friend ( the biker bros one), often visited some store ouside the school just to bought some soft drinks, because it was hot during mid-day. Actually the atmosphere between inside and outside the school truly different, it was really hot outside the school, not only that, it also smell of some smoke from the vehicle. The land outside the school was also seems like barren because there were not many tree in here, so much different than inside the school. When me and my friend finished bought some drinks, we often sat and chat then went home. My routine is often happened like that, it was perhaps a boring life for some people, but for me who didn’t experience a good childhood memories during school, it was fun. This school was the place where my wishes come true, like had a best friend, had a normal teenage life like others and to have a good memories during highschool.